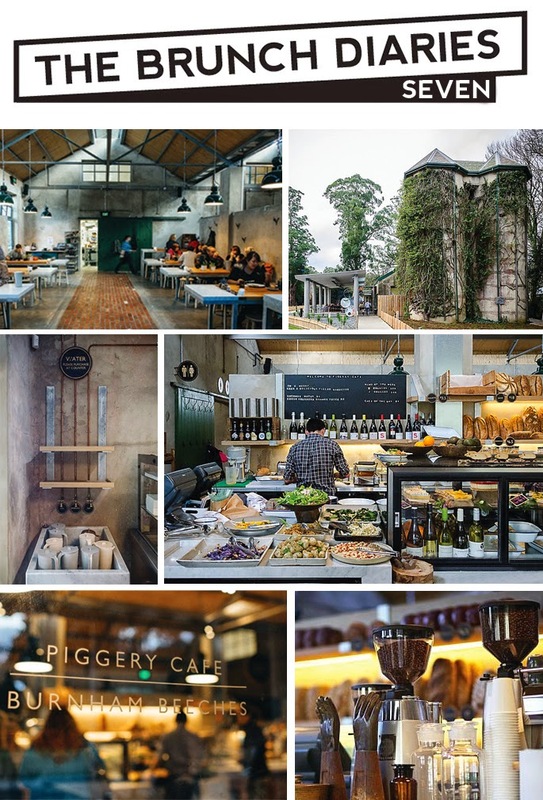 Over the weekend after we went for a little adventure through the Dandenong Ranges we enjoyed a late brunch at Piggery Cafe at the historic Burnham Beeches. A friend had mentioned it, and when he said that it was owned by Shannon Bennett of Vue de Monde fame I knew that's where we would be stopping for a bite. The estate itself is nestled off the main road of Sherbrooke, down through the lush towering eucalyptus trees. Bennett has plans to turn the rest of the estate into a sustainable resort, but for now it home to a beautiful cafe and bakery. Ad you walk in you can't help but check out the immaculate cabinets full of take away rolls and salads, and the most decadent looking sweet treats, lemon tarts, chocolate ganache, emu egg sponge, chocolate slice. Holy crap why I am avoiding sugar? We take a seat in the back and quickly are bought menus. The staff are friendly and move quickly, coffee orders are taken quickly followed by food. It's only a short wait until the most delicious looking plates of food are bought to the table. A wagyu beef burger on a golden brioche bun for the mister, and a pork belly deconstructed sand which sans bread with crispy delightful crackling wafer for me. Topped off with perfect homemade mayo and a handful off handout fries to share. Holy yum. Greg thought it looked like a small portion but he was completely satisfied, in fact he said it was one of the top 5 burgers he has had in his life, and that boy has had a few burgers. The coffee was delicious, perfectly strong and hot. Actually perfect. It was pretty reasonably priced. Around $60 for 3 people to eat and drink for brunch. It was yum, and tranquil and if we are back out that way anytime soon we will more than likely return to sample something else off the menu. Get out there. Seriously. Yum. So I have been 25 for a whole month. What. The. Heck. Slow down time, you are going WAY to fast for my liking. I had the best birthday this year. I know people say that all the time, but honestly it was so lovely. 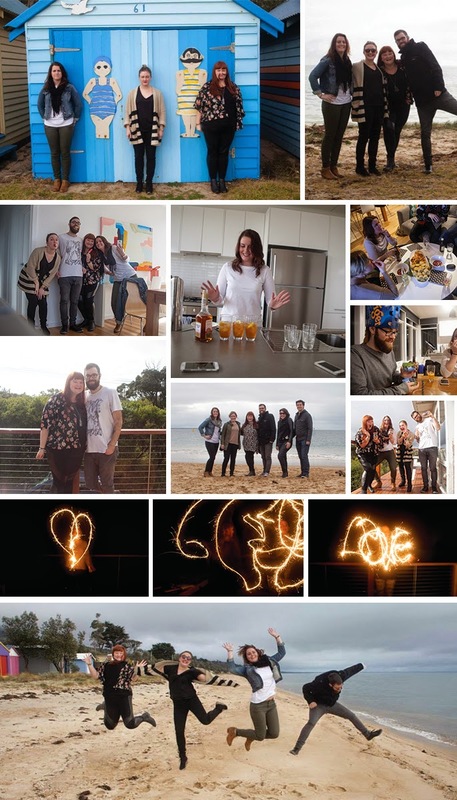 A small group of friends decided to get out of the city for the weekend and head down the coast to the little town of Sorrento. Let me tell you, it was fricking beautiful. 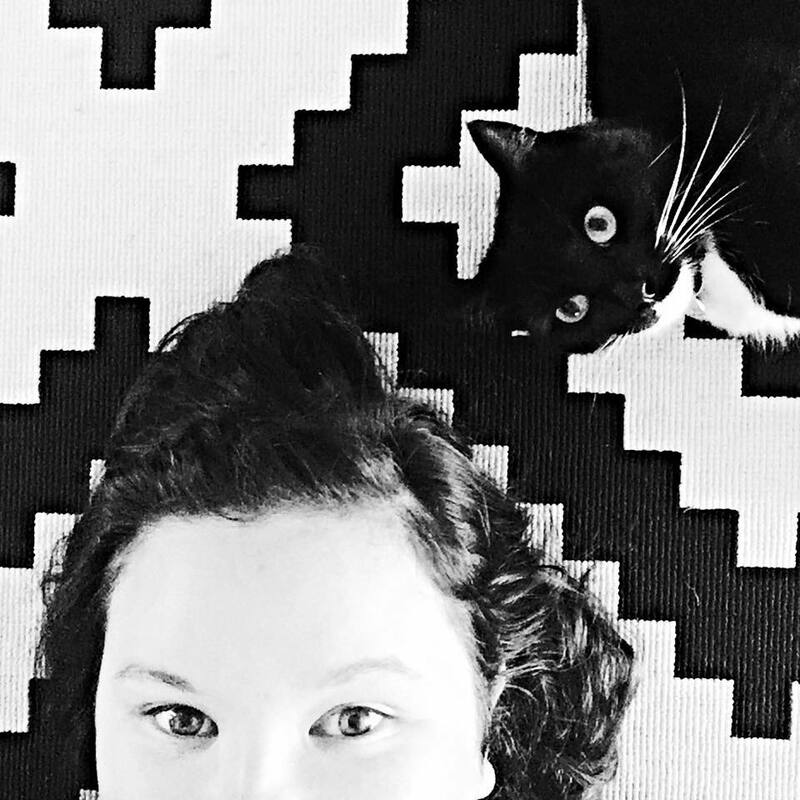 We hired a lovely home through Airbnb [seriously, this site rules. We are already planning our next stay cation]. We turned on the heat, opened all the curtains, looked over the ocean, ate lots of food, drank lots of cocktails and just relaxed. It was perfection. I was totally spoiled by my lovely man and my dear friends, I am super blessed. Bring on 25. It is going to be a good year folks. I love a good latte, I am even becoming partial to a piccolo every now and then. But I had never thought about covering my body in coffee grinds. 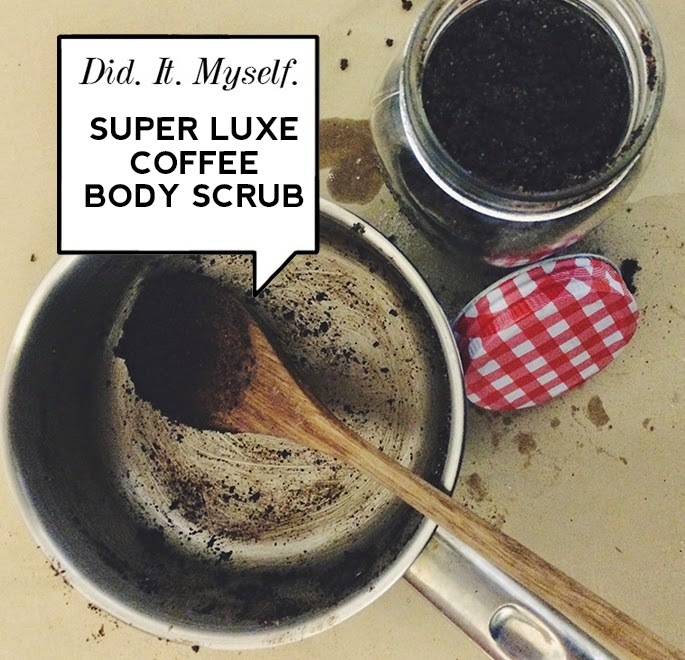 I will be honest, I first saw coffee body scrub floating around the web. Ranging in price from $19.99 up to $40, I had heard lots about it, and definitely heard mixed reviews. Some people market it as relief for stretch marks, other people say its a great exfoliant. Some people swear by it, other people say they don't rate it at all. I wasn't sure what all the fuss was about but I wanted to get in on the action. 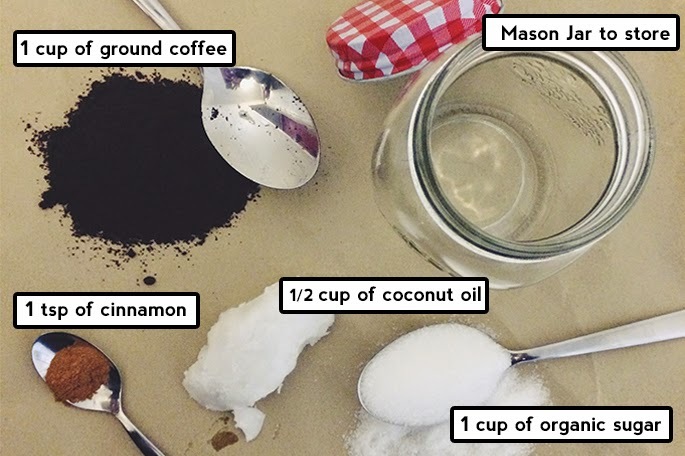 A couple of months ago one in one of the online communities I am part of, a lovely gal posted a DIY recipe. Of course, this was right up my alley. I didn't wanna part with my cash until I was able to make a call on whether I liked it. The other thing that appealed to me, was knowing EXACTLY what was going into this product I was about to put on my body. No additives, no chemicals. Pretty radical if you ask me. And, It is super easy. Love. Anyway, I finally got around to making it. I used it last night, and seriously, lets just take a minute. It is. Awesome! My body felt delicious and moisturised, I felt strangely invigorated, and I smelt divine. Obviously I have no idea if it makes any difference to my skin yet, but I will let you know. I asked if could share the recipe with you guys, and there was no problem so... here it is. First you need to melt your coconut oil. I just popped mine on the stove for a minute and it was done. I set it aside and let it cool slightly. You don't want it to go solid, but you don't want it hot either. Then, add your coffee, sugar and cinnamon. You can also add a dash of vanilla, or forgo the cinnamon and add a few drops of your favourite essential oil! Mix it up good, pop it in your jar and you are ready to go! Just jump into the shower and scrub away. Its a little bit messy but I think thats also part of the appeal. Divine! I would love to know if you use it so let me know!